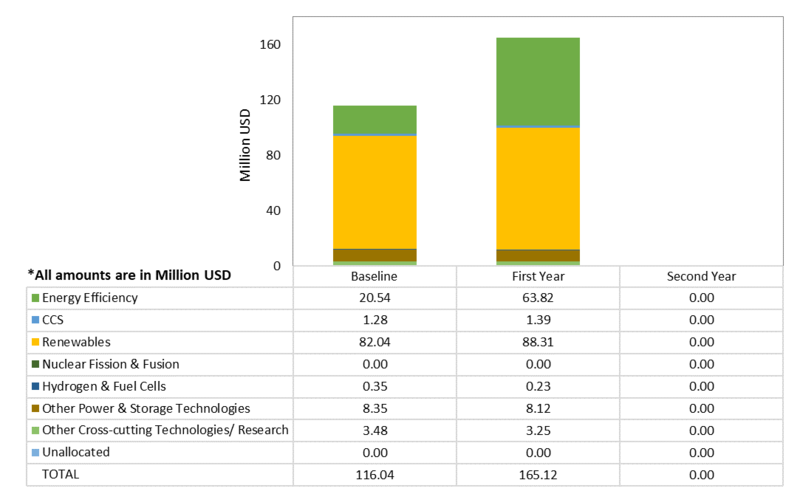 Note: The Netherlands can only provide the final data on Energy Research expenditures after the corresponding budgets have been committed within funding rounds and after the funding rounds have formally been closed. This takes place in July each year. Therefore, we are not able to report yet on the MI RD&D spending in 2017 at this point in time.